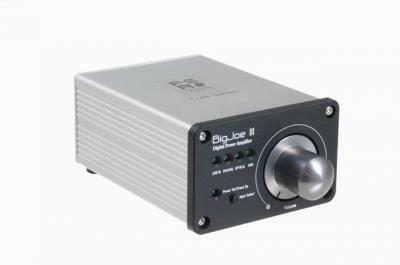 Bigjoe3 Digital Power AMP audio amplifier from Firestone Audio Co., Ltd.
Hi-Fi Amplifier > Bigjoe3 Digital Power AMP > Firestone Audio Co., Ltd.
BigJoe III is a Digital Integrated Amplifier with the technology of Class-D.
BigJoe III can be running for a long time with high power efficiency?low power consumption. With Coaxial, Optical, USB, and Analogy Input (various kinds of input mode) users can select an ideal transfer medium (USB, Analogy, Coaxial, or Optical Inputs) to satisfy the needs of sound quality. Bigjoe3 Digital Power AMP > Firestone Audio Co., Ltd.